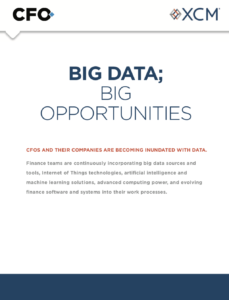 How the JOBS Act helped five CFOs take their companies public. It’s been a little more than two years since Congress passed the Jumpstart Our Business Startups Act, a law intended to make it easier for smaller companies to obtain access to capital. Title 1 of the act created the so-called IPO on-ramp, consisting of provisions that make it simpler and less costly for emerging growth companies—defined as those with less than $1 billion of annual gross revenue—to go public. Unlike larger companies, an EGC can, for example, file a confidential draft registration statement with the Securities and Exchange Commission for review, “test the waters” with institutional investors to gauge interest in an IPO, provide two years of audited financial statements instead of three, and delay an independent audit of their internal controls (see “The IPO On-Ramp,” at the end of this article). Today, nearly 9 out of 10 IPOs are by emerging growth companies, according to a study of year two of the JOBS Act by Latham & Watkins. The pharmaceutical industry accounted for the largest group of EGC IPO issuers, followed by technology, real estate, energy, and health care. Meanwhile, nearly everyone agrees that the JOBS Act has significantly affected the way IPOs are done. To find out just how the rubber hits the road in a JOBS Act offering, we asked the CFOs of five such companies—TrueCar, Zoës Kitchen, GlycoMimetics, ChannelAdvisor, and Malibu Boats—to discuss their experiences. Some of them had previously taken companies public, either as CFOs or bankers. All had strong opinions about the effectiveness of the IPO on-ramp. Here’s what they had to say. The company didn’t use the testing-the-waters provision, though. “We talked a lot about it, but ultimately our underwriters didn’t think it was necessary,” says Guthrie. We took their advice.” Nor did it limit its audited financial statements to two years. “Because of the timing of the offering and our desire to have a little more financial information in the prospectus—we thought it was important for investors to understand some of the transitions we had gone through—we put in a full three years of audited financial statements,” says Guthrie. 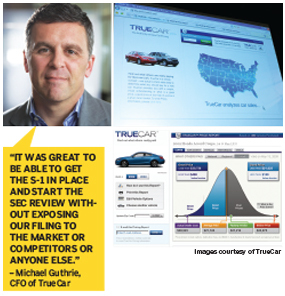 TrueCar will also take advantage of the five-year exemption from complying with Sarbanes-Oxley’s Section 404(b) auditor attestation requirements for internal controls, although “we were well on our way to launching SOX compliance before we filed,” says Guthrie. Now, the company will phase in compliance over time. 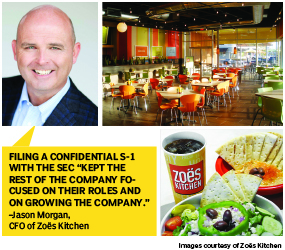 Founded in 1995, Zoës Kitchen is a fast-casual restaurant chain featuring “a distinct menu of Mediterranean-inspired dishes, served with warm Southern hospitality,” says CFO Jason Morgan. The Plano, Tex.-based company has more than 120 restaurants across 15 states, largely in the Southeast. Investors showed plenty of appetite for the company’s $87 million offering in April, driving the stock price up 65% on the first day of trading and 129% through the end of June, according to Renaissance Capital. The IPO enabled Zoës to repay its bank debt, with its growth-restricting covenants, leaving the company with about $40 million in cash. “That, combined with our cash flow from operations, will fuel our growth for the next several years,” says Morgan, who joined the company in 2008. As the success of the offering demonstrated, Zoës didn’t need to test the waters to determine market interest. “The banks and Zoës had the first conversations with potential investors after the S-1 was publicly filed,” says Morgan. The company also filed three years of audited financials instead of the permitted two and included selected audited data going back five years instead of two. It also opted not to use the ability to adopt new or revised accounting standards using the same phase-in periods as private companies. In April 2013, GlycoMimetics reached a turning point in its development. The clinical-stage biotech company’s lead product—a compound for treating sickle cell disease, dubbed Rivipansel, or GMI-1070—had performed well in Phase II clinical trials, significantly reducing the length of hospitalizations and the amount of pain medication patients needed. Pharmaceutical giant Pfizer, which owns the worldwide licensing rights to Rivipansel, was ready to take the compound to Phase III trials, the last step before a drug can be marketed to the public. In turn, GlycoMimetics was ready to go public. Until then the company, which was founded in 2003, had relied on funding from venture capital investors, along with milestone payments from Pfizer for the development of Rivipansel. 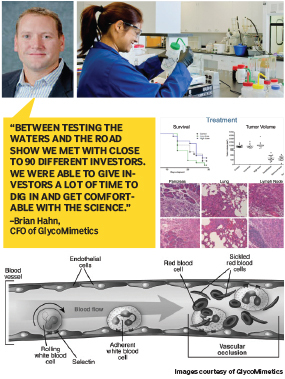 “Between April and June, the biotech IPO market was heating up,” recalls Brian Hahn, GlycoMimetics’ CFO. “As soon as Pfizer committed to moving the program forward, we started drafting the S-1.” The company filed the form confidentially with the SEC in late August and started meeting with investors. The testing-the-waters provision of the JOBS Act is especially beneficial to biotech companies, says Hahn, giving them time to educate investors on their complicated stories and complex technologies. “Between testing the waters and the road show we met with close to 90 different investors,” says Hahn. The meetings enabled GlycoMimetics to get a feel for investor interest and what the potential valuation of the company could be. “We were able to give investors a lot of time to dig in and get comfortable with the science,” he says. The response was encouraging, and GlycoMimetics flipped its S-1 from private to public in early October. Then it was a matter of waiting the required 21 days before the company could launch its road show. It was the market: following GlycoMimetics’ decision, seven other biotech IPOs were postponed. In December, the company made numerous phone calls to potential anchor investors, says Hahn, and GlycoMimetics finally launched its IPO during the first week of January—the first offering on NASDAQ in 2014. “We upsized the offering,” says Hahn. “Bankers exercised the shoe, and it was very successful.” The IPO priced at $8, and GlycoMimetics raised $64 million. The stock ran up to $17 before biotech stocks tanked again, and currently trades near $8. The ability to test the waters with investors was crucial to the success of GlycoMimetics’ IPO, says Hahn. Another important advantage was the ability to defer compliance with SOX 404(b). “We’ve got good internal controls—we put in a SOX-like framework—but I don’t have to grow my staff as much on the corporate compliance side,” says Hahn. At this stage in a biotech company’s lifecycle, investors like to see money put in R&D, not G&A, he says. Currently, the company’s total payroll is $4 million, and “our cash burn is going to increase $1.5 million a year just to be a public company,” says Hahn, citing the added burdens and reporting requirements involved. Given the explosive growth of e-commerce and the number of SaaS- and cloud-based companies going public, ChannelAdvisor didn’t have to test the waters before going public, says Baule, other than consulting with its bankers. 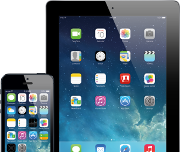 “We have about 2,500 customers in a pretty nice cross-section of the economy,” he notes. The company also receives plenty of online exposure through its CEO, Scot Wingo, whose blog is widely followed by analysts. “We’re viewed as having real thought leadership in this space,” says Baule. 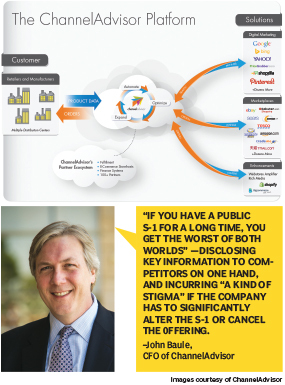 Not surprisingly, ChannelAdvisor had a rousing IPO, listing on the New York Stock Exchange. The company’s stock (ticker symbol: ECOM) priced at $14 per share in May 2013 and rose nearly 40% in the first day of trading. ChannelAdvisor raised $81 million from the offering, and its stock nearly reached $49 before settling to the mid-$20s this summer. Baule, who came to the company via an executive search firm in November 2012, says the ability to file a confidential S-1 was a big benefit. “There’s probably a five-to-six-month lead time, depending on the industry, between the initial filing of the S-1 and the time you go public,” he says. “If you have a public S-1 for a long time, you get the worst of both worlds”—disclosing key information to competitors on one hand, and incurring “a kind of stigma” if the company has to alter the S-1 significantly or cancel the offering. “It’s a huge advantage to get the SEC’s blessing on all the big items before you hit the tape, so to speak,” says Baule. Baule says a confidential S-1 filing might have altered the course of events when he previously led a company through an IPO—at K12, a technology-based education firm, in 2007. “We filed our first S-1 on July 3,” he recalls. “We were out there, and we had to go forward.” K12 debuted on the New York Stock Exchange in December 2007, when the economy was slipping into the Great Recession. “Maybe if we hadn’t been out publicly, we would have considered delaying,” says Boule. “But in retrospect maybe [going forward] wasn’t a bad thing.” K12’s stock opened at $18 per share and currently trades in the mid-$20s. Like ChannelAdvisor, Malibu Boats didn’t test the waters before its $115 million IPO in January, according to CFO Wayne Wilson. It didn’t really have to—the company’s products were already well known for their performance on the water. 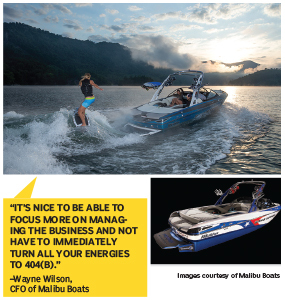 Since 2010, the Loudon, Tenn.-based company has been the top manufacturer of performance sport boats and premium water-ski and wakeboard boats in terms of U.S. market share, generating fiscal 2013 net sales of $167 million. Malibu did post three years of audited financial statements instead of the required two, but like other EGCs the company will phase in compliance with SOX 404(b) over time. “It’s nice to be able to focus more on managing the business and not have to immediately turn all your energies to [404(b)],” says Wilson. The IPO was Wilson’s second; he was an investment banker in the first one. “I gained a lot of appreciation for being on the CFO side of the fence,” he says with a chuckle. Emerging growth companies (EGCs) can take advantage of some or all of the following provisions of Title 1 of the JOBS Act. • Testing the Waters – Before or after filing a registration statement, EGCs may meet with qualified institutional buyers and other institutional accredited investors to gauge their interest in a contemplated offering. • Confidential SEC Review – EGCs may initiate the SEC registration process confidentially. • Scaled Financial Disclosure – EGCs may go public using two years, rather than three years, of audited financial statements and as few as two years, rather than five years, of selected financial data. • Internal Controls Audit – EGCs are exempt from the internal controls audit required by Section 404(b) of the Sarbanes-Oxley Act. • Executive Compensation Disclosure – EGCs may use streamlined executive compensation disclosure and are exempt from shareholder advisory votes on executive compensation. • Extended Phase-In for New GAAP – EGCs may use private-company phase-in periods for new accounting standards. • PCAOB Rules – EGCs are exempt from any Public Company Accounting Oversight Board rules that, if adopted, would mandate auditor rotation or auditor discussion and analysis.